First Skoda in history to get 20-inch alloys as standard equipment. As the start of the 2018 Paris Motor Show is drawing closer, Skoda is willing to publish more revealing teaser images of its Kodiaq RS. The first SUV from the Czech brand to get the RS treatment is back this week to show the 20-inch Xtreme wheels (yes, that’s their actual name) featuring a swanky two-tone look that would’ve looked out of place some 10 years ago on a Skoda. 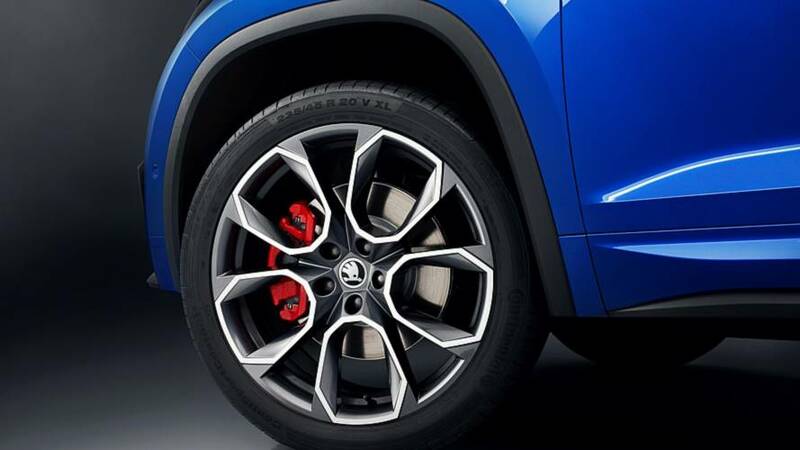 Those sporty-looking calipers hug 17-inch brake discs and provide the necessary stopping power to match the twin-turbodiesel engine underneath the hood producing 236 horsepower (176 kilowatts). Other visible design cues include the radiator grille, window frames, and the roof rails – all of which come with a glossy black finish. We are also being given the opportunity to take a good look at the new vRS logo with a red theme we’ll be seeing more of in the years to come, quite possibly on a go-faster version of the Rapid successor. Speaking of which, the Vision RS hot hatch concept will also be in Paris next month. 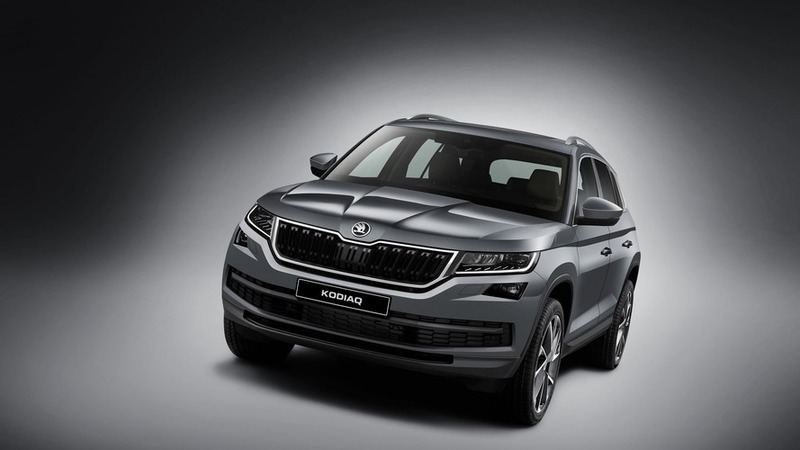 On the Kodiaq RS, the new logo will adorn the grille and the bumper at the back where we can also see the prominent reflector extending across the entire width of the SUV. Skoda is also showing off the twin exhaust tips of the performance SUV, and we’re hoping these are real like on the Octavia RS 230 / RS 245 as opposed to some other sporty VAG models where the exhaust is actually underneath the rear bumper (I’m looking at you, Audi SQ5). 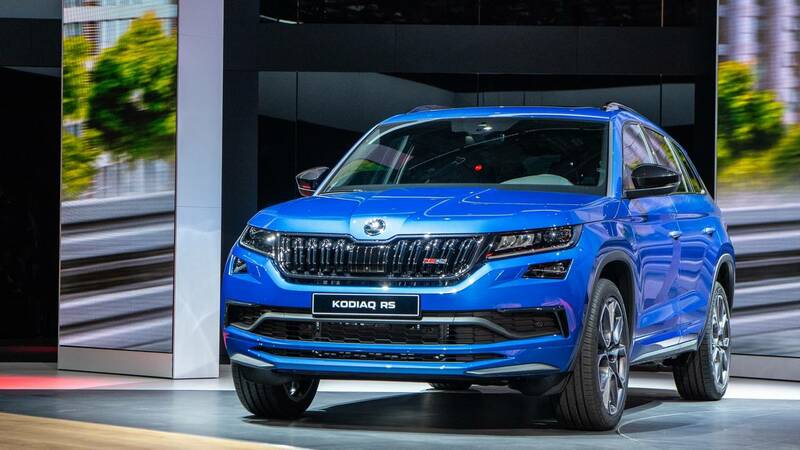 The 120th Paris Motor Show kicks off at the beginning of next month, but don’t be too surprised if Skoda won’t be able to wait until then as it might reveal the Kodiaq RS on the World Wide Web at the end of September.